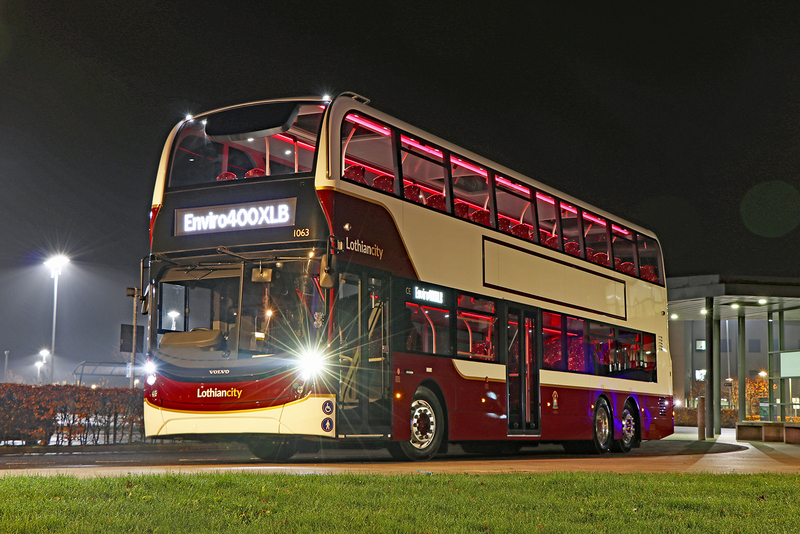 Alexander Dennis (ADL) and Lothian have unleashed an absolute monster on the world – their brand new 100-seat Enviro400XLB three-axle double decker. 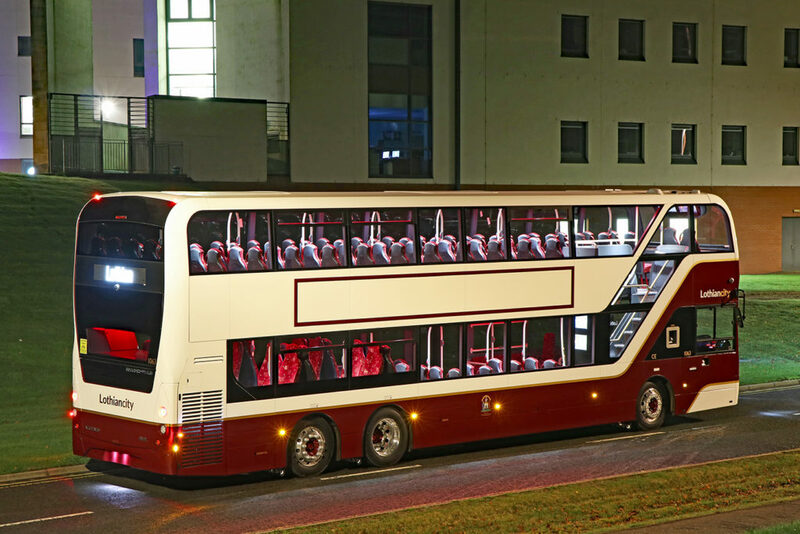 Developed in close collaboration with Volvo and based on their B8L tri-axle chassis, 42 of these high-capacity buses will enter service in Edinburgh from January onwards. 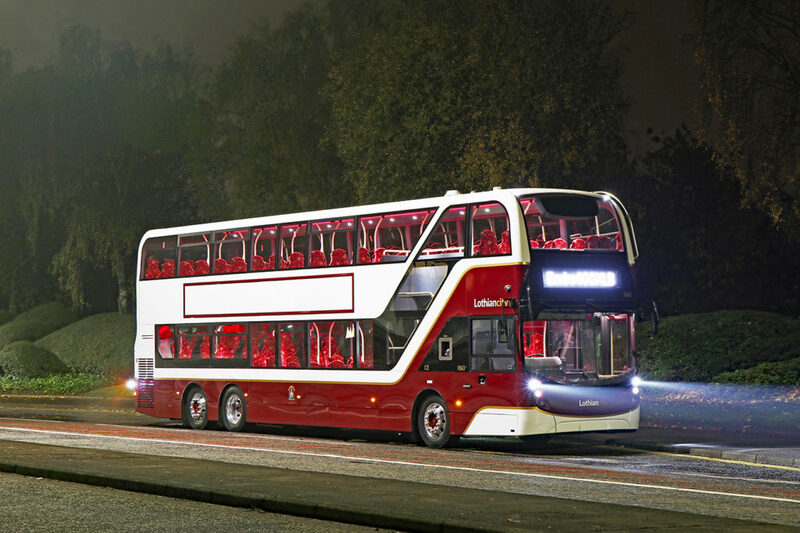 They will be built at ADL’s factory in Falkirk. 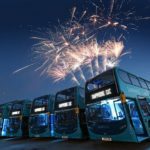 With Lothian’s services in the Scottish capital seeing consistent growth, the operator collaborated with Alexander Dennis to develop the 13.4m Enviro400XLB. 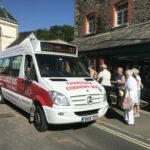 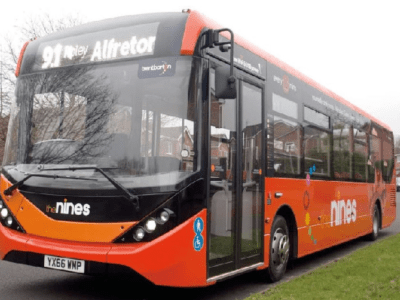 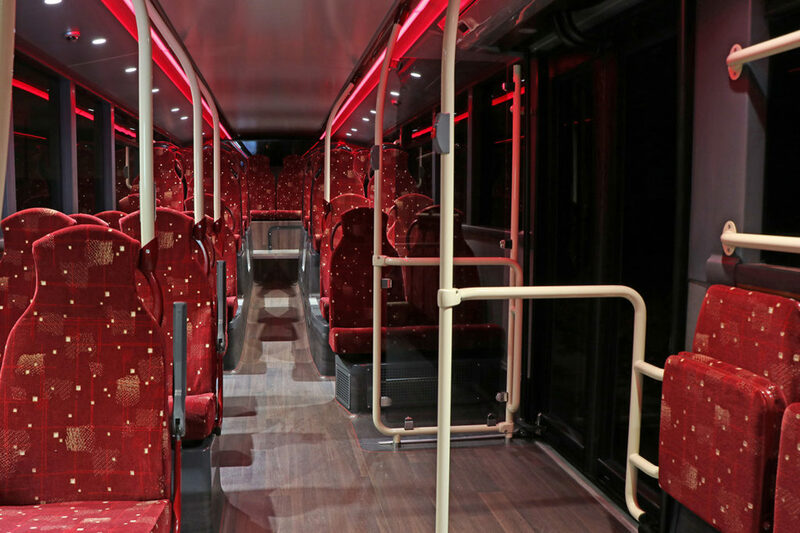 Offering 100 seats and able to carry up to 131 passengers in total, it delivers an unrivalled capacity for busy routes in the capital, while its front and middle doors will speed-up dwell times at bus stops. 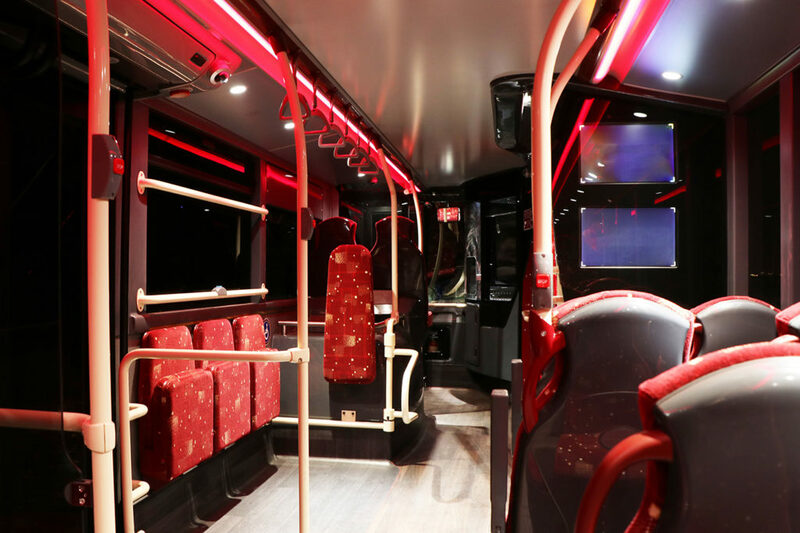 It has been built to even higher standards than bus users in Edinburgh are familiar with, with comfortable high-backed seating, wifi, USB charging, mood lighting and audio-visual stop announcements. 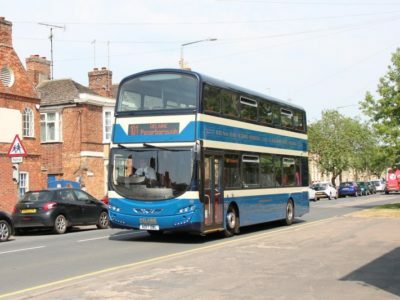 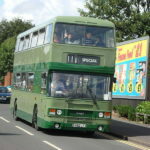 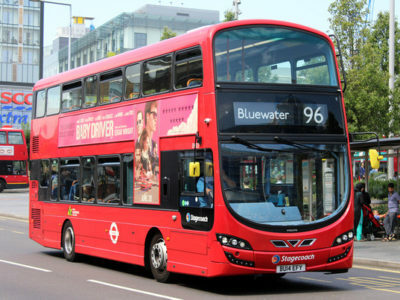 What do you think about this supersized-Enviro400? 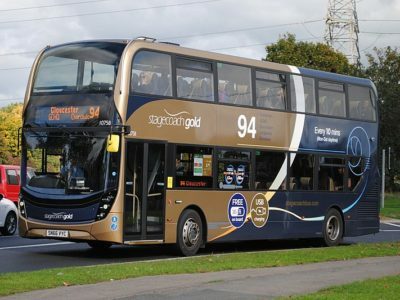 Let us know in the comments below, or drop us a tweet – @transportdsn.